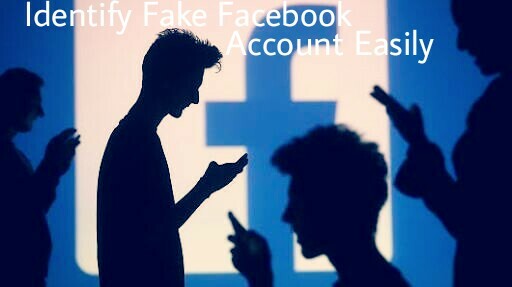 Hello, Facebook users today I can tell you about how to identify the fake Facebook account with simple steps. Users of Facebook are in million and some of the users are fake and cheater. 20-30 % of total Facebook account is fake. A fake account on facebook is mainly created with an intention to spam all over facebook & spread the virus. Mainly people create fake girl's profile to befool some innocent Fb users too. Facebook can't identify the fake Facebook account and delete all them manually and one should not expect it from Facebook because of obvious reasons. But they can block your account if you send lots of people to send a friend request or comment spammy links over and over again. Facebook catches you & then next time when you try to log in again, it asks you to identify Photos of Friends. A. Firstly, we can see any Facebook account is their Profile Picture, If you will find and Facebook account on your friends list suspicious, Next thing you will do is use Reverse Image Search. This helps you find out if Similar Pictures are available on the Internet. First Download the Profile Picture of the account you find suspicious. Now we will go to next step. B. Then, Goto Google Images Click on Camera icon which says Search by image, Click on Upload on Image, now choose the Pictures you had downloaded earlier. Now once the uploading completes, Google will show you similar images already exist over the internet. A. The Facebook timeline says a lot about that Profile. The fakest profile has "Female" as a gender, this doesn't mean all FB accounts with"Female" mostly genders are fake. There are many other things to Identify Fake Facebook Account. B. If there is a folder of photos and it shows only 1 or 2 pictures that too of random celebrities then it's really fake. C. The person does not update status, or if he does, the comments do not read like his real friends or the profile does not comment on others status, then also a fake account. D. In his profile "About" tab will give you more information about the profile, if the "About" tab doesn't show you any info about the person profile then it indicates about fake account. A. Why would one wait for 1st Jan to Identify Fake Facebook Account, Well fake profile makers most probably enter 1st Jan as their birth date while creating a fake account? On 1st Jan, Facebook will show you people who have birthdays today. Then go through that list and unfriend them if you don't know them personally. B. On 1st Jan 2017, I was shocked to see 18 people having their birthday, Guess what I performed the above process. A. The mostly Fake profile is created with Girl Identity and with a Beautiful face as a profile picture, You may even find Cell Phone Number, Girl Hardly will share their contact number in Public. B. Every Girl profile with lots of friends and followers indicates a Fake Profile. So, these were some tips to Identify Fake Facebook Account, If you find any Fake profile then you and your friends can report it on Facebook. Thank U for reading this article.